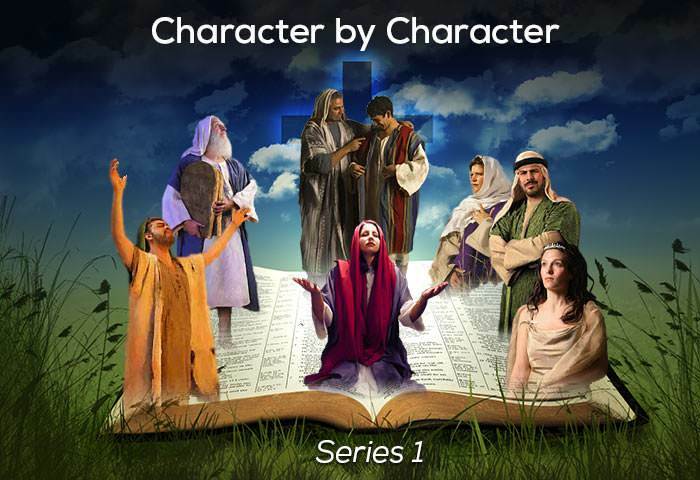 Scripture passages referenced and linked in this lesson are written out for your convenience on this page. For a more in-depth study of Abraham, Isaac, Jacob and Joseph see "A Journey of Faith with the Patriarchs". 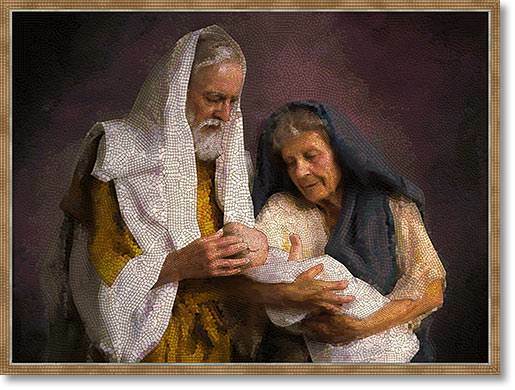 Although Abraham was born in Ur of the Chaldees and was therefore a Chaldean, he was a descendant of Shem and thus is in the line of Christ (Gen. 11:10-26). Little is known of his family, but we do know that his father was Terah, and that he married his half-sister Sarai. When God called him to leave the land where he lived and make his way to an unknown destination—“the land I will show you” (v. 1, NIV)—Abraham obeyed God without question and without hesitation. 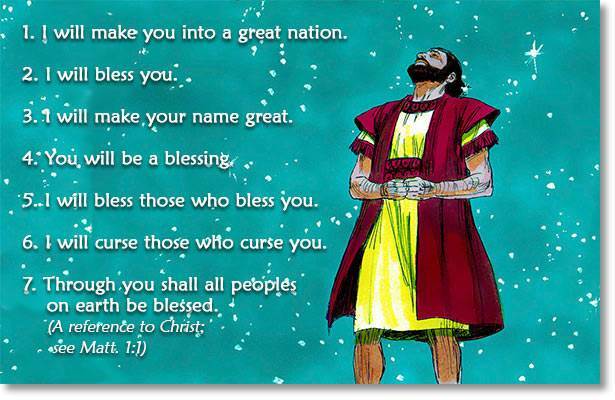 Although Abraham did not have a clear destination, he did have a clear promise: “I will bless you, and make your name great” (vs. 2, RSV). Doubtless it was this promise which fired his faith and started him out on a march which, with hindsight, is one of the greatest marches of history. When God calls us to do a new work or to accomplish something special for Him, His call is not always accompanied by a reason, but it is always accompanied by a promise. It is always easy to understand a promise, but not always easy to understand a reason. Abraham’s journey into Egypt, which some think was done under his own volition and not by divine guidance, was shot through with heartache and failure. He lied about Sarai his wife to Pharaoh, saying she was his sister. Eventually Abraham returned from Egypt in company with his nephew, Lot, and returned to the place where he had first built an altar (13:4). 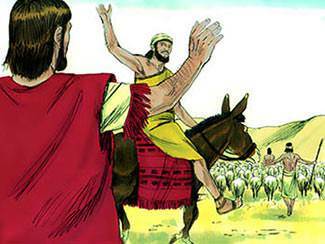 Strife between the herdsmen of Lot and the herdsmen of Abraham led to the decision to separate. 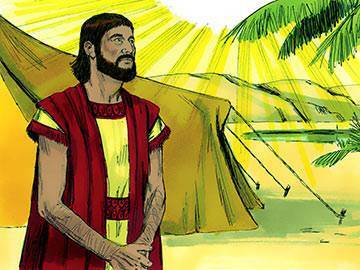 Abraham gave Lot the first choice, whereupon he chose the rich plain of Jordan. 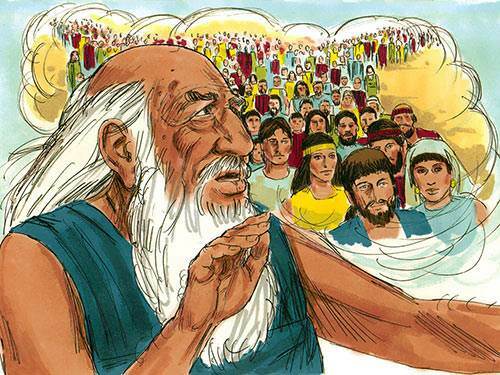 After Lot and Abraham separated, God chose for Abraham and gave him the title deeds of all the land he could see. When called upon to make a choice, do you first think of what God may want, or do you resort to the way of Lot who “chose for himself” (Gen. 13:11, NIV)? As one wag said: “Lot went for a lot and got a little.” Abraham finished up with the Promised Land. God always gives the best to those who leave the choice to Him. 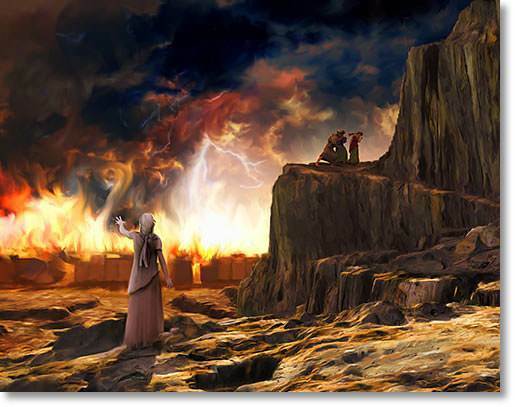 Lot, who is now living in the city of Sodom (14:12), is taken captive as a non-fighting civilian in the battle between king Chedorlaomer and Bera, the king of Sodom. When Abraham heard of his nephew’s plight, he mounted a rescue operation which resulted not only in Lot’s deliverance, but in the acquisition of much wealth and possessions. 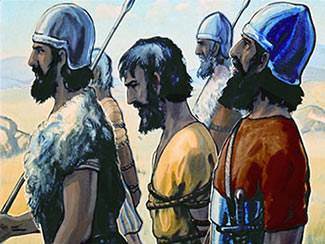 As Abraham and Lot returned from defeating Chedorlaomer, Melchizedek, a priest of the most high God, came to meet him. 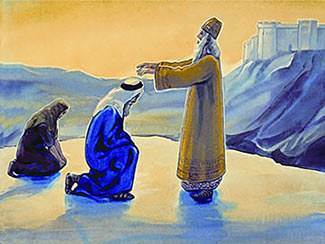 This priest, who was also the king of Salem, gave him refreshment and blessed him. Immediately Abraham took a gift of his own (a tenth) and gave it to the man of God. Here was established the principle of tithing which Abraham’s physical and spiritual descendants would follow. How do you feel about tithing? Do you regard it as something that was ‘under the law’? Well, here you can see that the principle was established long before the law was given. 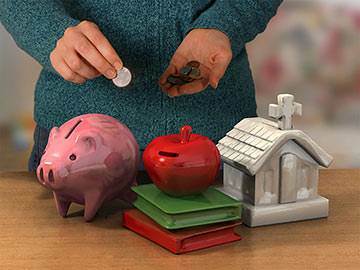 Tithing is a Biblical principle, and Scripture encourages us to follow it. After God had reconfirmed His promises to Abraham, all seems ready for him to be installed as the head of a new covenant with the promise of many descendants. His marriage to Sarai, however, does not produce a child, and he begins to entertain the idea of an adopted heir. God responds to this by saying, “A son coming from your own body will be your heir” (15:4, NIV). 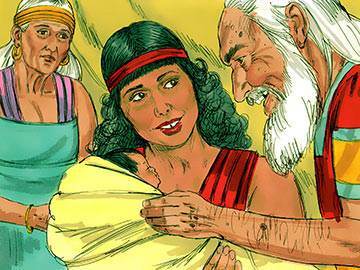 These words left no doubt that Abraham would become a father, but they gave no definite indication that Sarai would be the mother. Perhaps this may be one reason why Abraham responded so easily to Sarai’s suggestion to become intimate with her servant Hagar. When Ishmael is born, the home which before was a scene of bliss, sadly becomes a house of discord. The delay that often occurs between God revealing His purposes and actually bringing them to pass is one of the greatest testing times in life. How careful we must be that we do not attempt to interfere with or ‘speed up’ the plans of God. That way is always a shortcut to disaster. 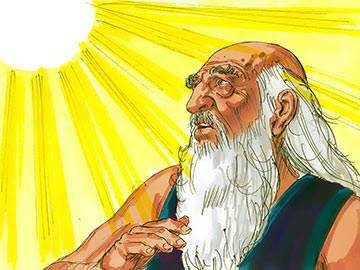 When Abraham is 99 years old, God appears to him and announces Himself under a new name: “I am God Almighty” (Hebrew: El-Shaddai—the nourisher of His people) (17:1, NIV). This announcement is followed by the news that Abraham’s name is to be changed—from Abram to Abraham. Sarai’s name is to be changed also—from Sarai to Sarah—and the first direct intimation is given that she is to be the mother of the promised seed, whose name is to be Isaac. These new revelations are accompanied by the announcement that every male child must be circumcised. Sarai’s response to the news that, at 90, she is to become a mother, is one of incredulous laughter. Nevertheless, what God promised 25 years previously comes to pass, and Isaac is born. Did you notice that when God breathed His divine life into Abram and Sarai, thus enabling them to have a child, the letter He introduced into their names was the letter ‘h’? How wonderfully things change when God breathes into them. Take the word ‘impossible’, for example. See what it becomes – Him-possible. 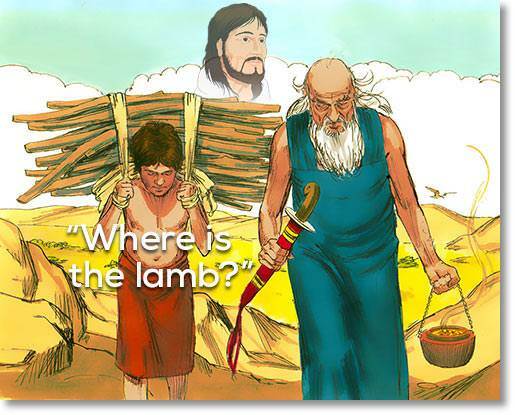 Once before Abraham had saved Lot by rescuing him from the hands of king Chedorlaomer. On that occasion he went and personally brought him out of difficulty; this time he prays him out. Abraham’s intercession for Lot contains the ingredients that are common to all great intercessors: (1) boldness (v. 23); (2) pleading (v. 24); (3) argument (v. 25); (4) humility (v. 27); and (5) perseverance (v. 32). As a result of Abraham’s powerful intercession, God sent two angels to Sodom to rescue Lot and his family, but unfortunately Lot’s wife disobeyed the command not to look back and was turned into a pillar of salt. How effective are you in your intercessions? Do your prayers for others contain the characteristics which show up time and time again in the great prayers of the Bible? Look up, for example, Isaiah’s great prayer in Isaiah 63 and see if you can spot these same five characteristics. 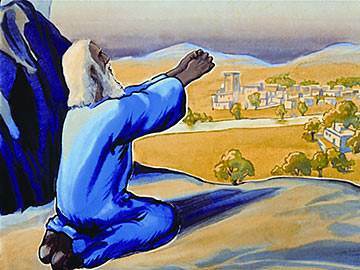 Isaac is already a young man when Abraham receives a command from God to offer him up as a sacrifice. 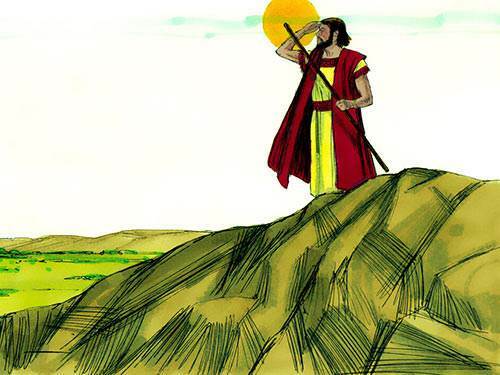 Obedient and devoted Abraham makes the necessary preparations and climbs to the top of Mount Moriah—the appointed place of sacrifice. 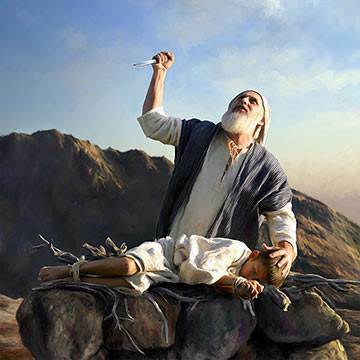 His hand is raised to kill his son when he hears the divine voice loud and clear saying that God does not desire the completion of the act but is satisfied with Abraham’s proved willingness. 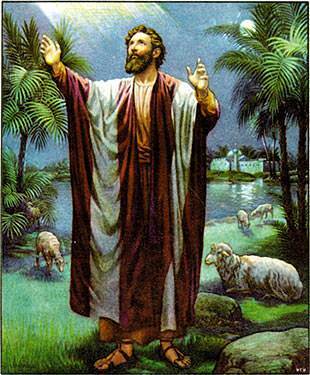 The animal which is to be substituted in his son’s place stands ready by divine providence and is sacrificed for him. Without doubt this was the greatest test of faith which Abraham ever endured, and is seen by commentators as the most significant act of his life. Abraham’s life, as one commentator puts it, “defines the difference between a true pilgrim and a mere pedestrian.” Everything about this illustrious patriarch says that he delighted to be a sojourner (literally, ‘here for the day’), the archetypal pilgrim, alienated, disengaged and a stranger on the earth. He lived in the world but his heart was set on another country, his treasure was in another currency and his citizenship in another realm. Like Abraham, we live in the world, but the direction of our lives must always be forward. Abraham made for a place he would afterwards receive, and seeing the promise from afar he greeted it as present and sure. A true pilgrim realises that he has struck camp and is going places with God, adventuring, searching beyond the distant horizons. Faith, detachment, hope: these are the qualities which are evidenced in Abraham’s life and which God still seeks to cultivate in His present-day pilgrims.